Wildlife and nature in pictures and words, what a wanderous genre it is. In my last post 'Natures Wonders of Bird Migration (Part 2) I advised on the different migratory patterns we find here in South Africa. Namely Intra African migrants,vagrants (all as discussed in my last post) and lastly and what I want to touch on in this post, Afro Paleartic migrants. Wildlife is wonderful and strange in many ways and none more so than Afro Paleartic migratory birds. These migratory birds are species that migrate between Europe/Northern - Southern Asia and South/Southern Africa). In South Africa we have 44 recorded species of Afro Paleartic migratory birds as denoted by SABAP2 (South African Bird Atlas Project 2). These migratory birds, some large, some small and some in the middle!! Fly thousands of kilometers to spend the summer months in South and Southern Africa and return all the way back home again to spend the summer months in Europe and Asia mostly but not all to breed. Some of the well recognised Afro Paleartic migrants here in South Africa by the 'man in the street' are possibly the Steppe Buzzard (Buteo buteo vulpinus) and the Steppe Eagle (Aquila nipalensis) (medium sized raptors/birds of prey) which fly all the way from their breeding grounds in eastern Europe, Southern Russia and the central Asian 'steppes' and as far east a Mongolia. Afro Paleartic migrant birds most recognised from Europe include the 'Barn Swallow (Hirundo rustica) and the colorful European Bee Eater (Merops apiaste) and the ever present European Roller (Coracias garrulus). These Afro Paleartic migrants start to arrive in South Africa between August - November each year and start their departure March -April the following year. Bird migration is a fascinating and interesting subject which I urge you to research further which ever part of the world you maybe in. Probably the most travelled of our Afro Paleartic migrant birds is a small insectivorous raptor (eats insects) the 'Amur Falcon' (Falco amurensis). 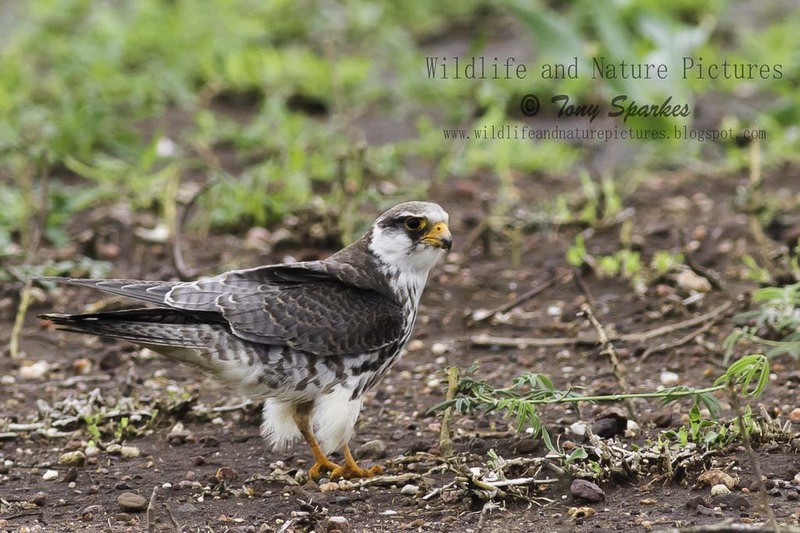 This small raptor breeds in south eastern Siberia and northern China before migrating in very large flocks across India and over the Arabian Sea to winter in South/Southern Africa a round trip of over 22,000km!! Finally a question one must ask in all of the last 3 posts on bird migration, why do birds migrate? It is generally understood the reasons for migration are 2 fold. Birds migrate to move from areas of low or decreasing resources to areas of high or increasing resources. The two primary resources being sought by them are food and nesting locations.